A pretty dress was hanging on the wall of my clean room, as if it was magically appeared out of thin air. There were no traces at all that not a few hours before, the dress was a nightmare and the room was a complete mess. Surely I have to thank the magical power of a vacuum cleaner. 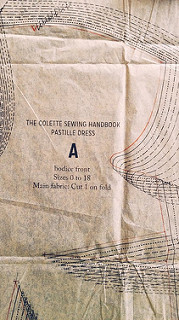 The pattern is Pastille dress from The Colette Sewing Handbook, the one on the cover. I’ve loved the pattern since the first time I saw it, but kept postponing to make it because apparently I’m too small for Colette patterns. Doing a small bust adjustment like what I did for my Taffy top wouldn’t be sufficient for a sheath dress like this. A few days ago, I finally found enough bravery to grade the pattern down. I started with grading size 0 one size down. Does that mean it is now size -2? Anyway the grading process went smoothly, despite needing some time and patience to do it. Then I did my usual adjustment, shortening the bodice by 2.5 cm and a slight swayback adjustment on bodice back and skirt back. 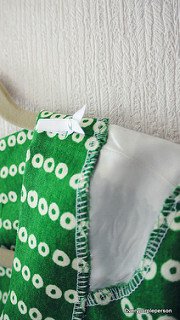 The fabric is this wonderful cotton/linen mix with slight wavy rows of white circles pattern, I got it from Okadaya, a fabric store in Shinjuku. 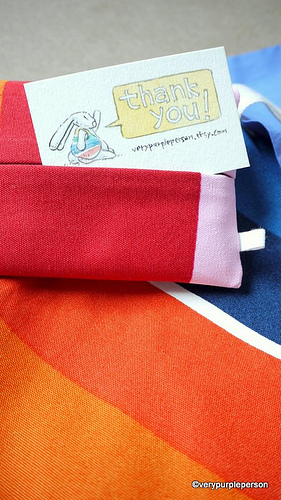 It is very easy to cut and sew and also comfortable to wear. 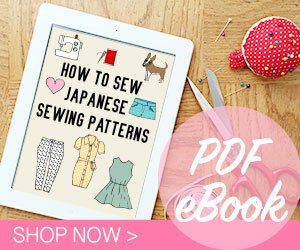 The instructions in the book suggested finishing the upper bodice before attaching the skirt. 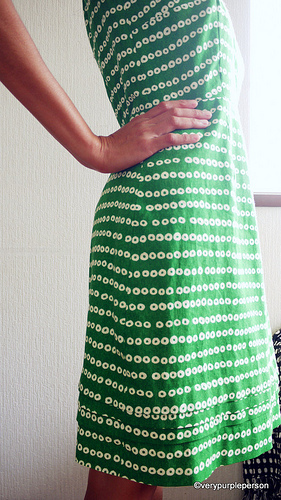 I preferred to attach the skirt before the side seams, in case I might need to adjust it later. I put on this dress for the first fitting and looked into the mirror. The waist sat too low despite the short bodice adjustment that I’d made. 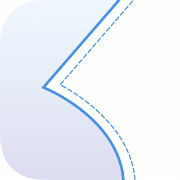 The waistline also curved downward on the sides. And what was that on my back? It looked like I had a hunchback from the puffed up fabric there. The shoulders sat strangely and almost all the darts had extra volumes on the tips. Usually with Butterick or Vogue patterns, I didn’t need more adjustments other than what I have mentioned above so I was quite disheartened by the sight. Uh, maybe that’s why people are making muslin first before going for the real thing?? But my problem with muslin is that I always feel guilty looking at those unused and rejected fabrics. They looked so sad crumpled in the corner of scraps bin. However, I refused to be defeated by this dress! Besides, the fabric is too pretty to have its destiny doomed to the black hole aka the unfinished projects box. I pinned all the problems until my body was surrounded by tiny needles and taking off the dress had to be done very sloooowly. Then I went to sleep filled with nightmares of fitting alterations. bodice front: shortened 1 cm on center front, tapered to 3 cm on both sides. Front darts lengthened 2.5 cm. bodice back : shortened 3 cm. Back darts lengthened 6 cm. The initial back length was way too long for my body and I noticed that some people also have problems with the bodice back of this dress. Luckily the fabric is strong enough to handle all those ripping and re-stitching! After all these efforts, the dress was finally looked decent enough on my body. From then on, I applied all the alterations to the lining and continued finishing the dress. All these alterations made me think that maybe I should have graded down 2 sizes. I would try it on my next Colette dress. 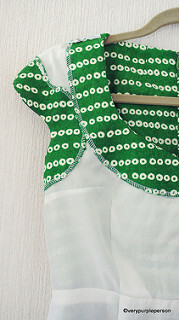 The dress in the book doesn’t have lining but I added one as I love wearing dress with lining. It makes putting on the dress much easier, preventing unsightly bumps, and also protecting the fabric itself. Basically I cut the lining from the same pattern pieces as the outer fabric, and baste them together around the neckline and armholes. The facings were then sewed as usual to this unit. That way I can catch-stitch the facing edges to the lining only. 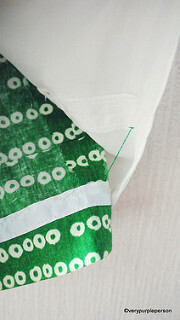 The hem was finished with white seam bindings and catch-stitched. Not the most perfect dress but I finally love it! 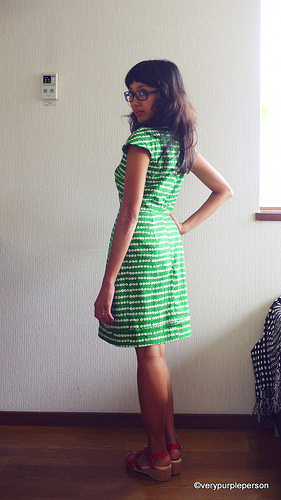 Pattern is Pastille dress from Colette Sewing Handbook, graded down from size 0 and altered to fit. 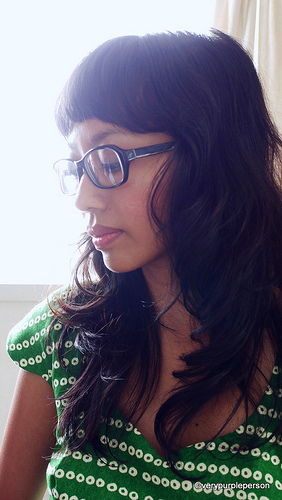 In another news, I got a new glasses courtesy of Firmoo. They contacted me sometime ago to do a review of their service. The ordering process is quite simple, choose the style (I chose this one) and enter the prescription, you can also select various lenses with additional fee. It was my first time getting glasses from an online shop, so initially I was a bit wary. The shipping was reasonably fast, I received the glasses in less than 2 weeks. They came with case and pouch, lens cloth, screwdriver and extra screws. The quality is surprisingly good despite the prices. I have been wearing them for a week now and there have been no problem with the prescription (PD:64, right eye: -2.25/-0.5 cyl, left eye: -2.5). If you also want to try out, they have a program offering free eyewear for first-time buyers, you just pay for the shipping fee. 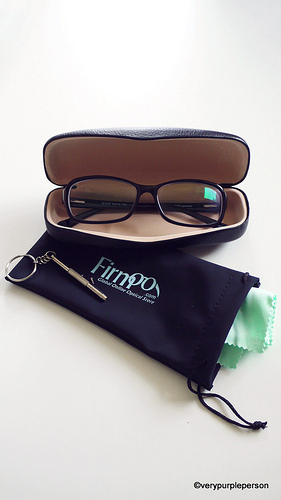 It’s definitely a good alternative to expand your glasses collection within reasonable budget!